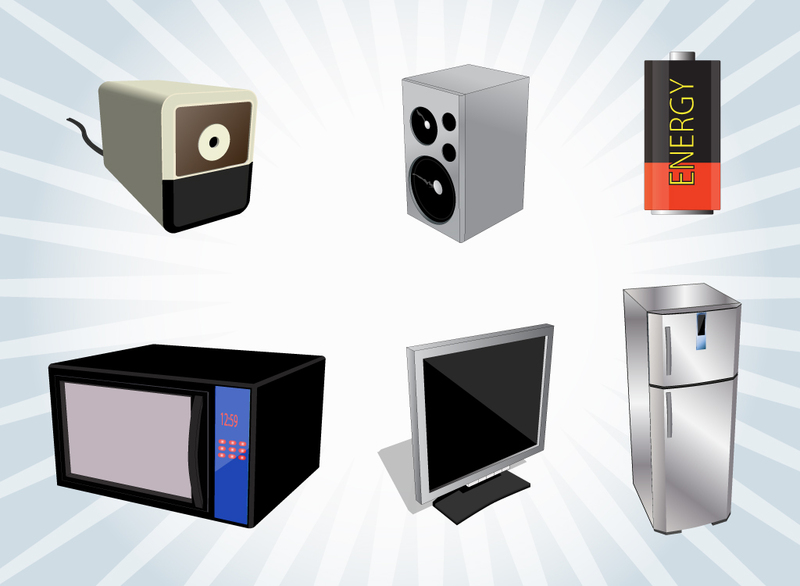 Electrical appliances and objects, six total to use in your designs. Includes a refrigerator, pencil sharpener, LCD TV, microwave oven, battery and stereo speaker cabinet. Comes on a star burst gradient background. Zip file comes with AI, PDF and JPEG format files. Tags: Battery, Microwave, Monitor, Pencil Sharpener, Refrigerator, Speaker.